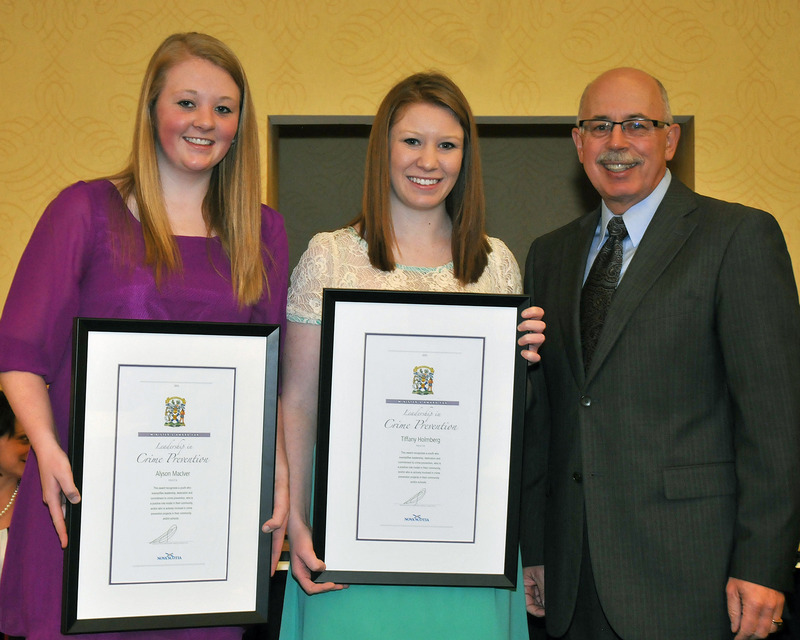 Justice Minister Ross Landry presents Alyson MacIver and Tiffany Holmberg, Inverness, with a youth award. Alyson MacIver and Tiffany Holmberg can often be found at a board meeting for Mothers Against Drunk Driving (MADD) in Inverness, chairing a Drug Prevention Action Committee meeting in Port Hawkesbury, teaching their teachers at the Strait Area Education and Recreation Centre about the Digital Citizenship Program or teaching primary students about cyberbullying. Alyson and Tiffany are two shining examples of youth leaders making a difference in their community.